Mikkey Dee goes from drumkit to canvas with the release of 'Subliminal.' A career first, each piece in the collection is built from rhythm. 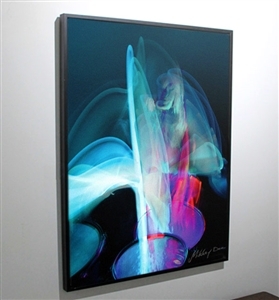 To construct the visuals, Mikkey utilized drumsticks that light, much like a painter would use oils. An extensive process from start to finish, the visuals are literally rhythm captured onto canvas in a vibrant, abstract and powerful new dimension in fine art. 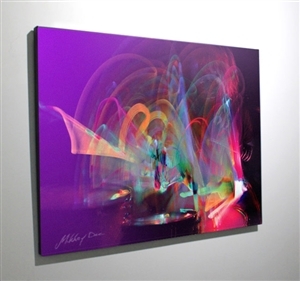 Each canvas in the collection is available in highly limited edition sizes, and all are numbered and individually signed by Mikkey Dee.